Joe joined B&F in October 2009. He graduated with an Associated Degree of Applied Science in Surveying from the University of Arkansas Community College at Morrilton in 2005. He is a Licensed Arkansas Professional Surveyor, has Mine Safety & Health Administration Certification, and belongs to the Arkansas Society of Professional Surveyors. 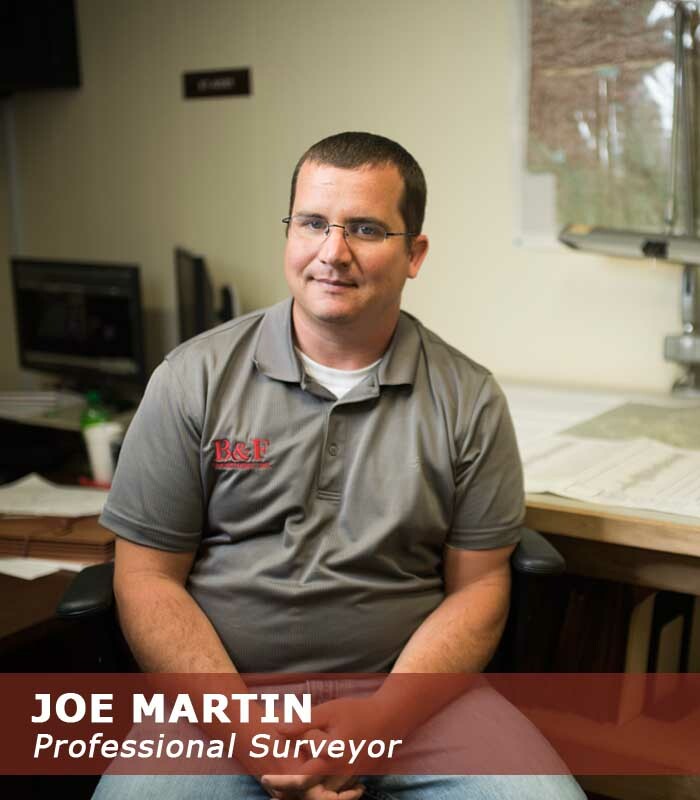 Joe enjoys spending time with his wife and 3 kids as well as riding motorcycles and 4-wheelers. He is an avid Razorback fan and also enjoys camping and floating on the Buffalo River.